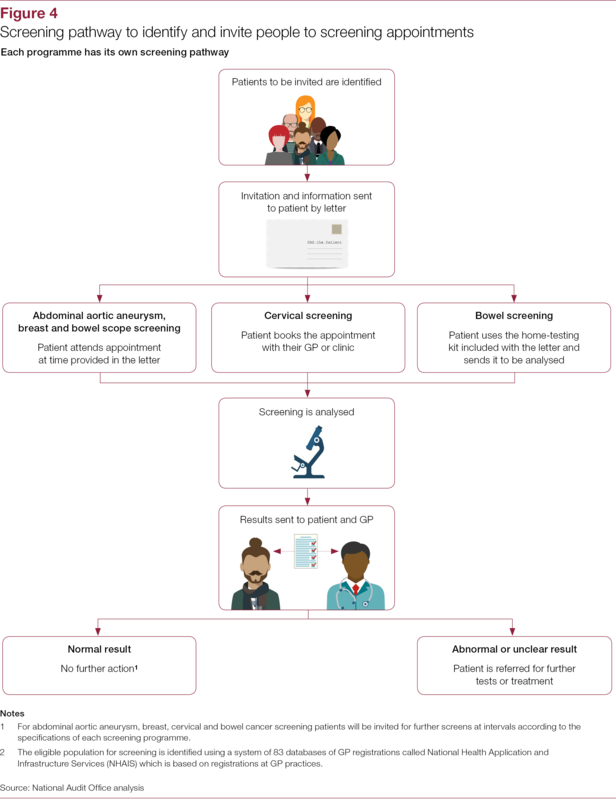 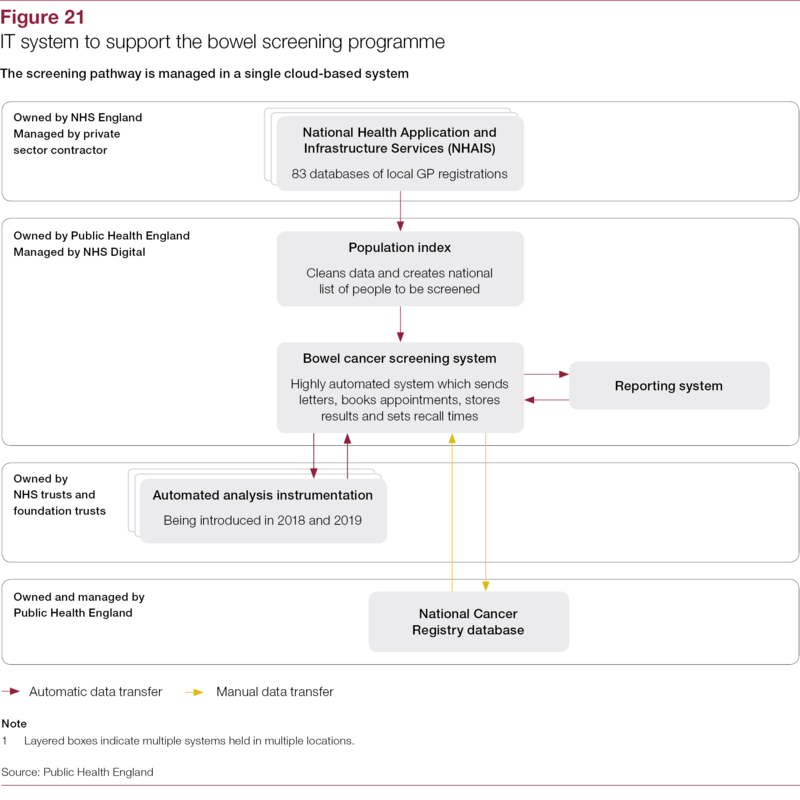 Health screening is a way of identifying apparently healthy people who may have a higher risk of developing a particular condition, so that they can be offered treatment or management techniques at an earlier stage where this may make a difference to the outcome. 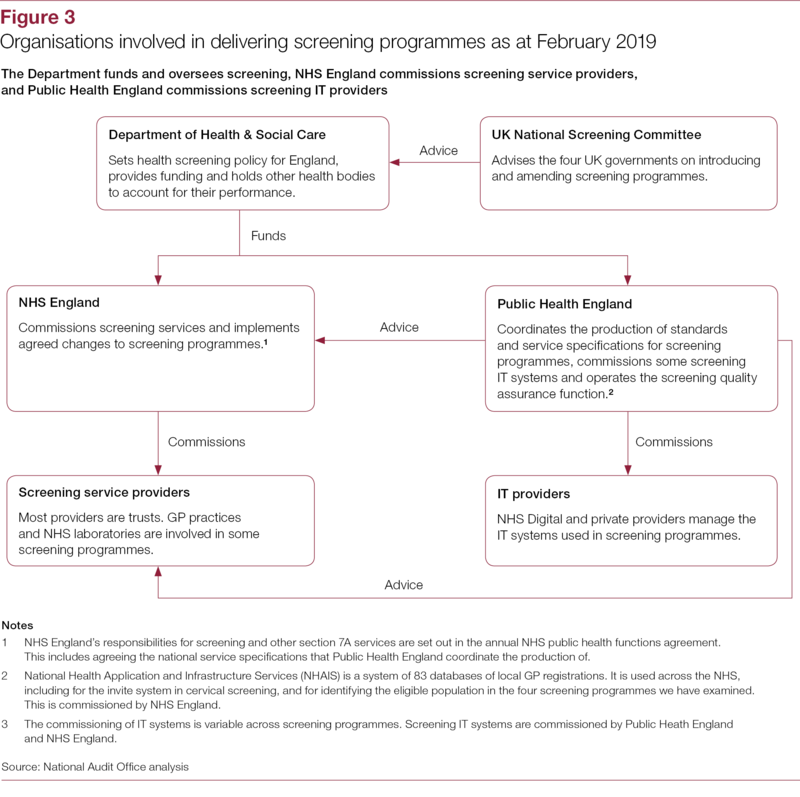 There are currently 11 national screening programmes in England. 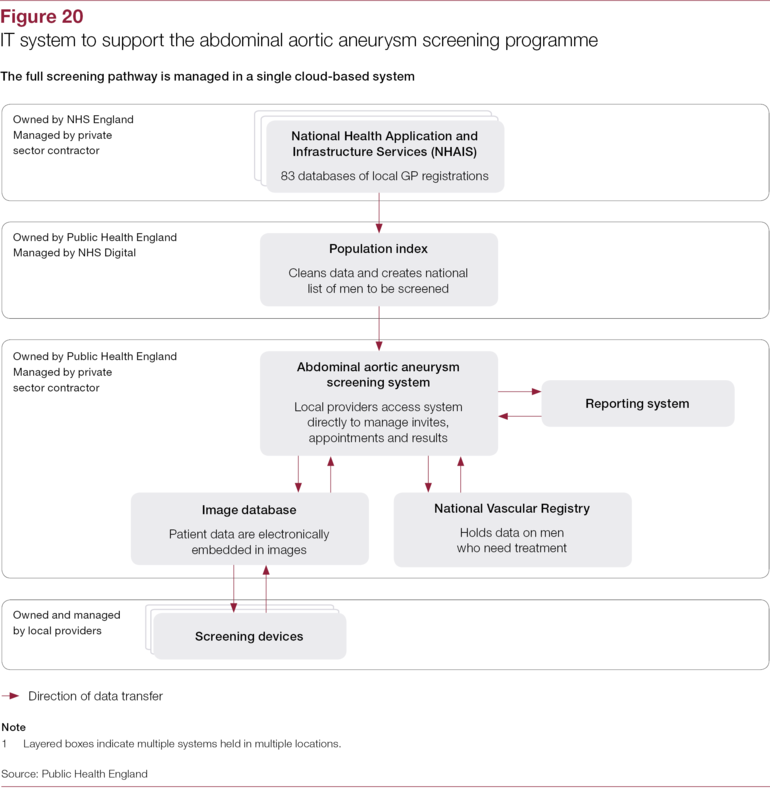 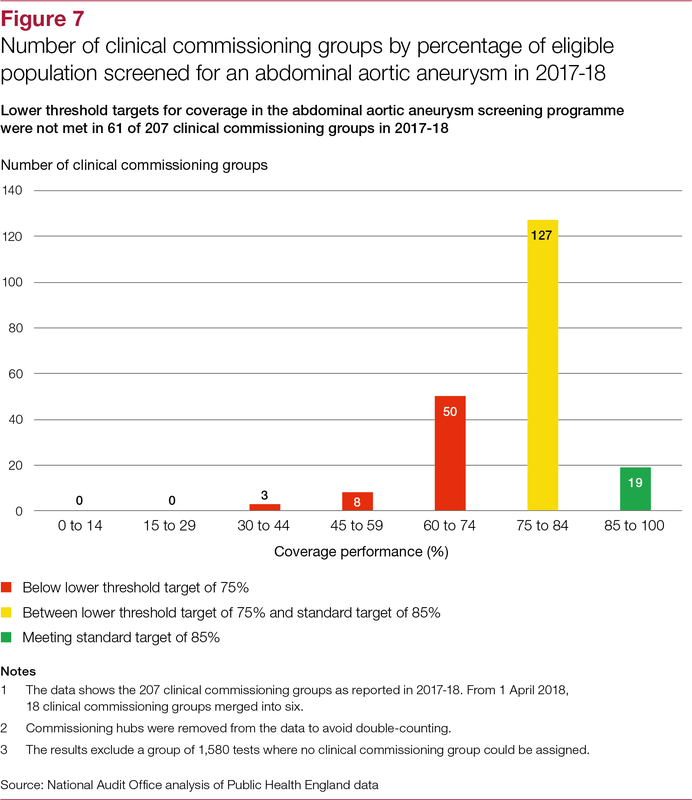 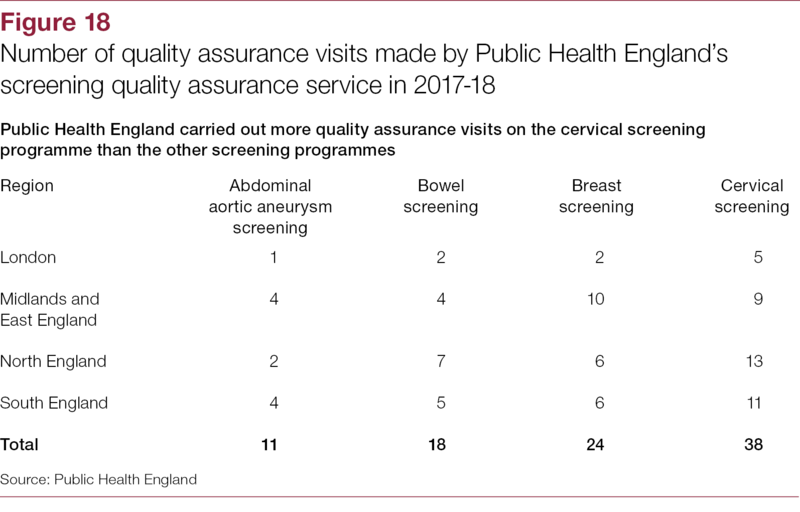 During 2017-18, more than 7.9 million people were screened under the four programmes covered by this report: abdominal aortic aneurysm, bowel cancer, breast cancer and cervical cancer. 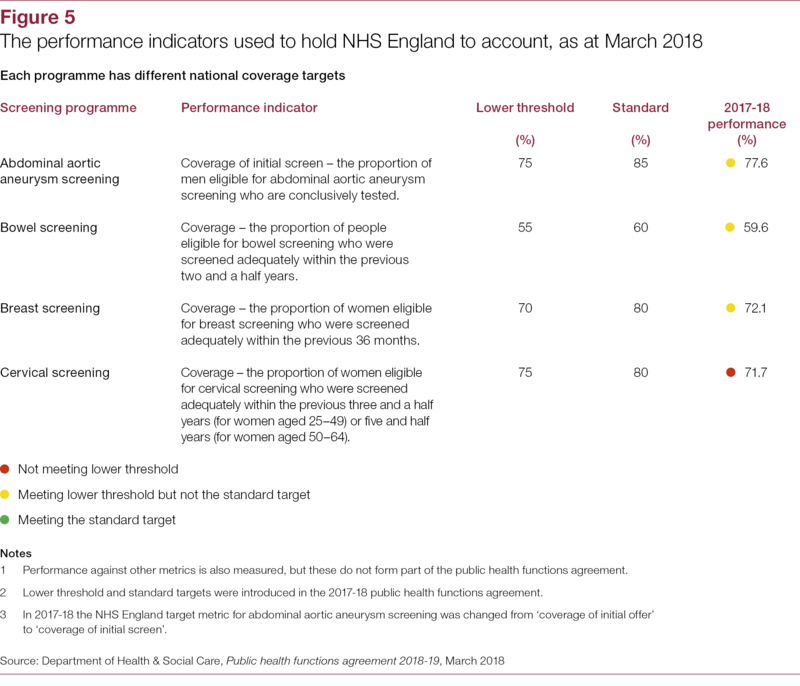 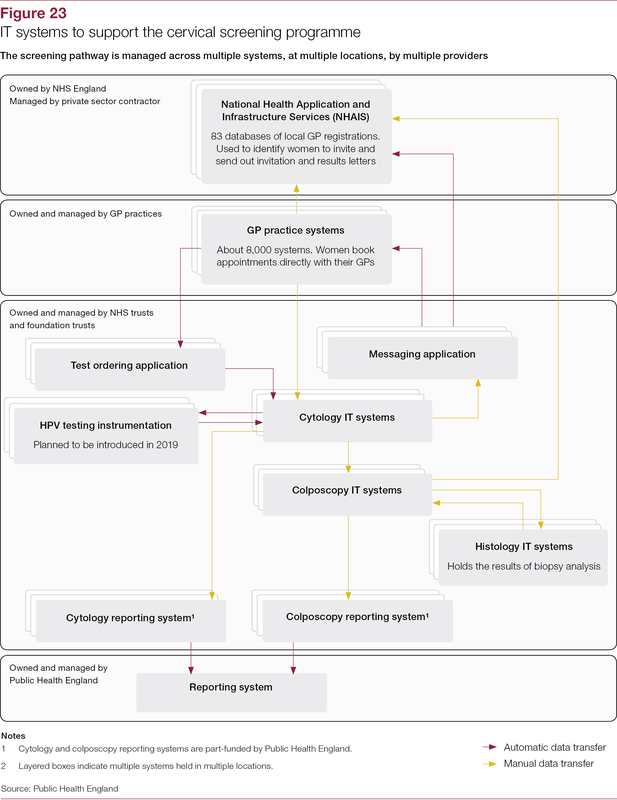 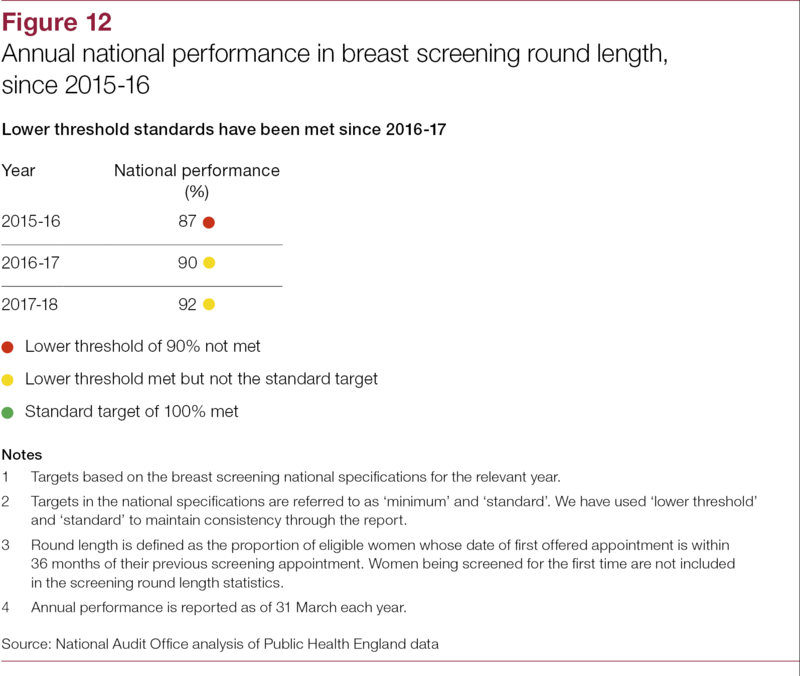 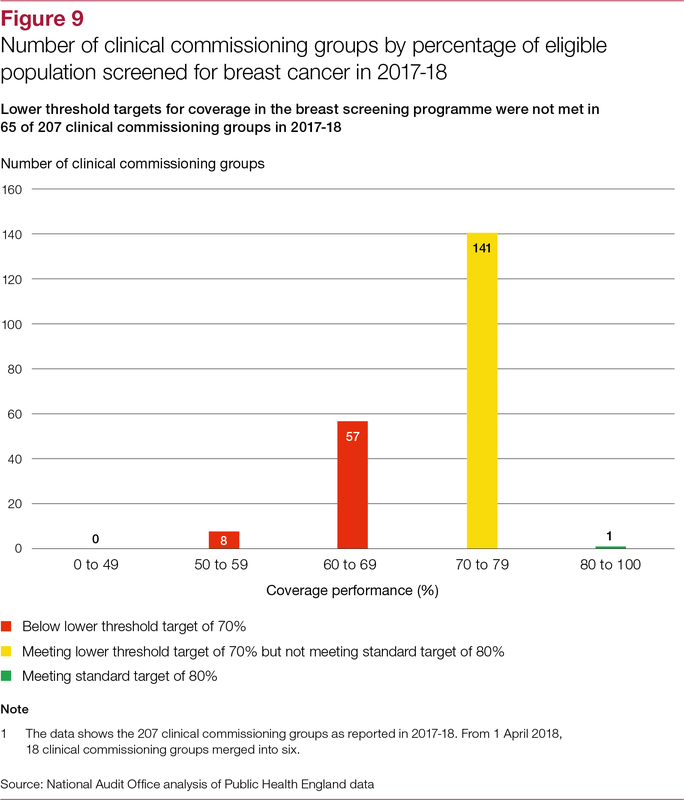 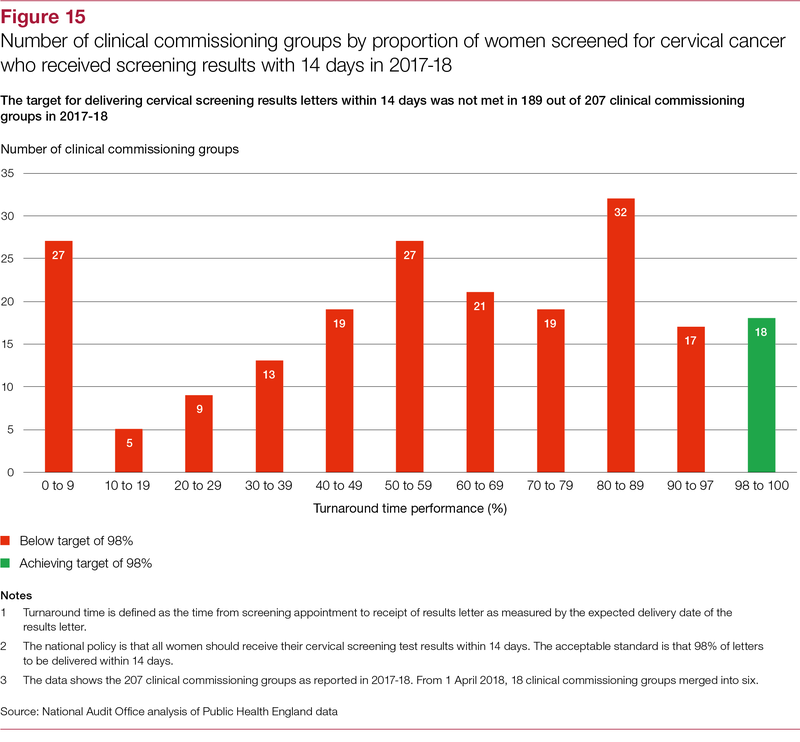 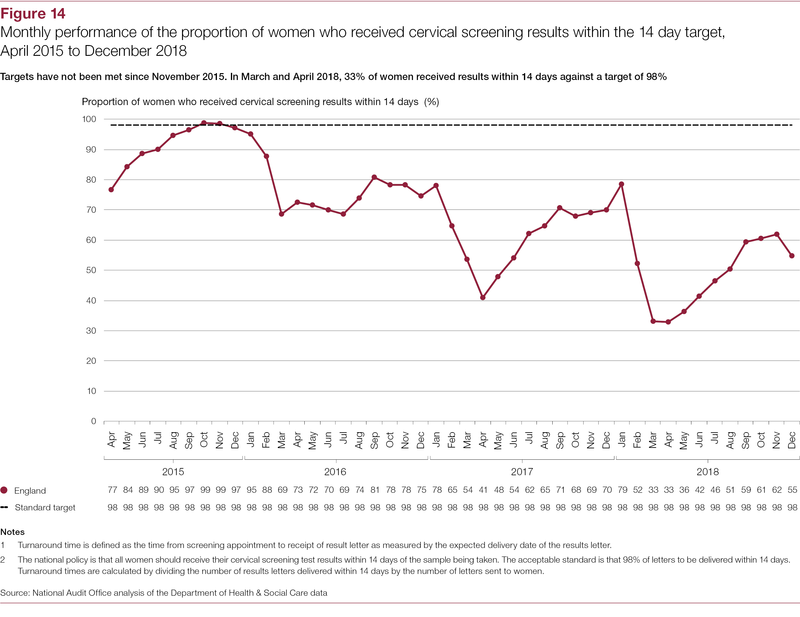 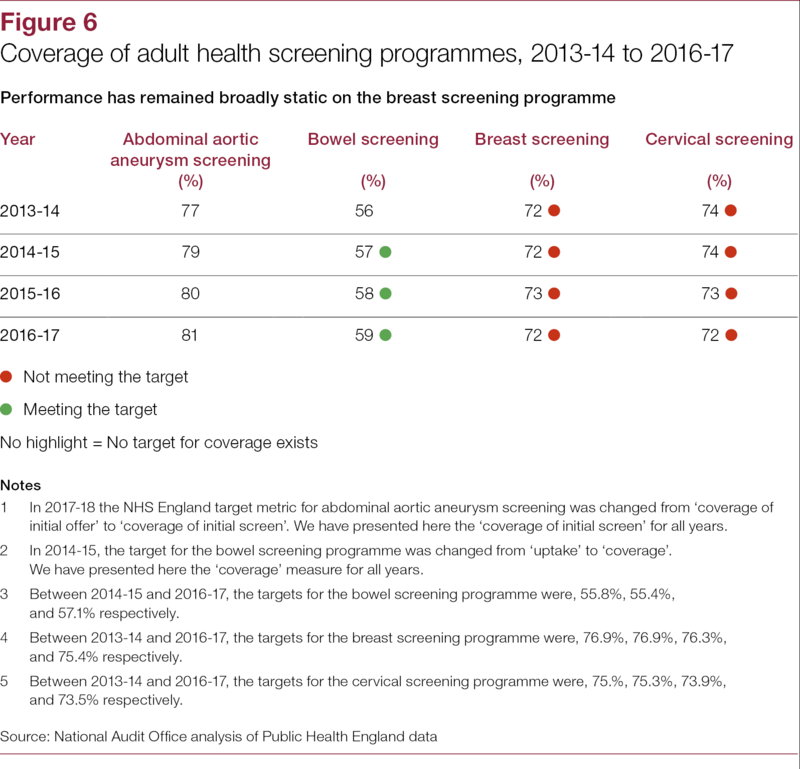 In 2018, two events (on the breast and cervical screening programmes) raised concerns about the management and understanding of screening programmes. 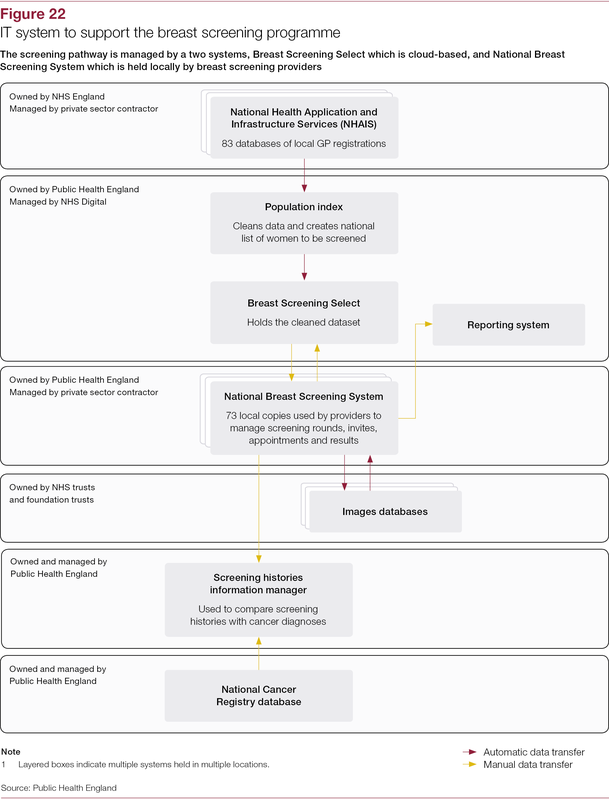 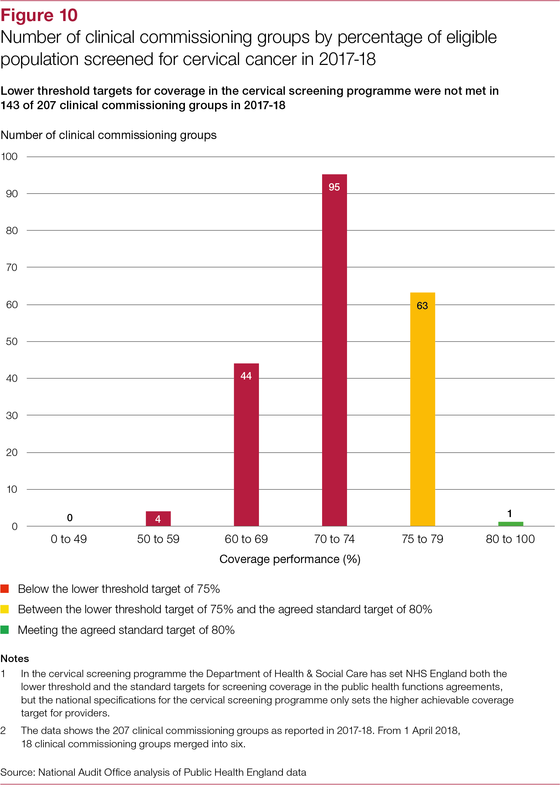 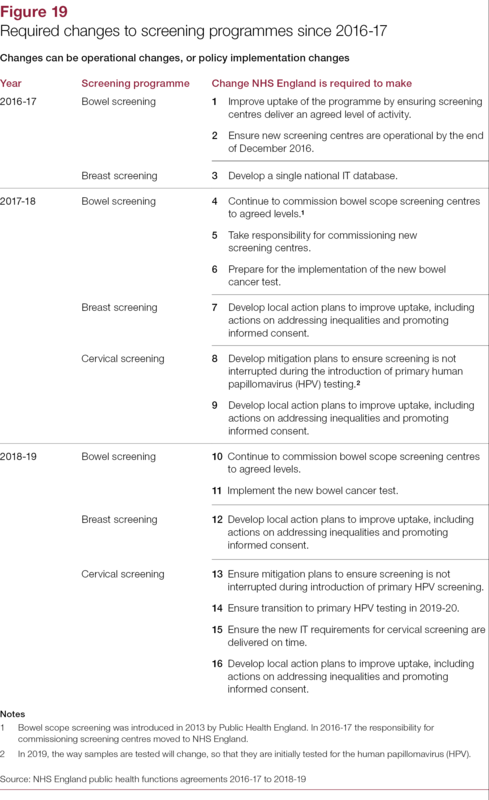 progress in implementing change in screening programmes (Part Four). 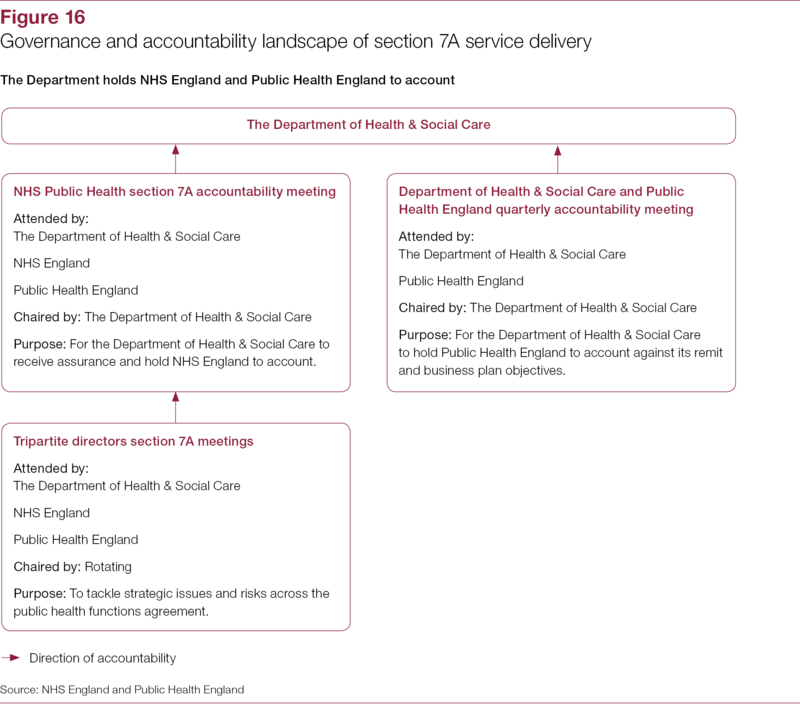 We focus on the Department of Health & Social Care, NHS England and Public Health England. 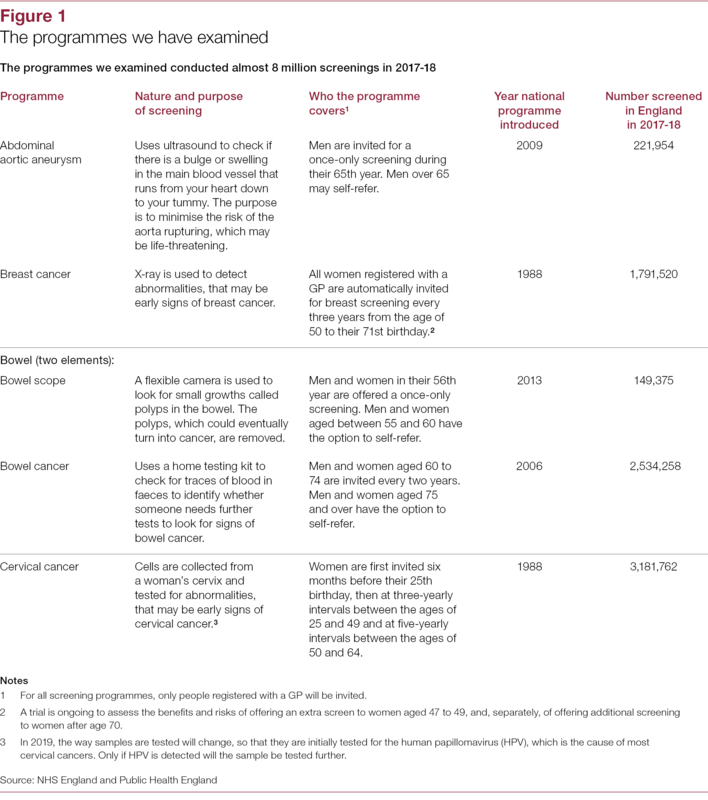 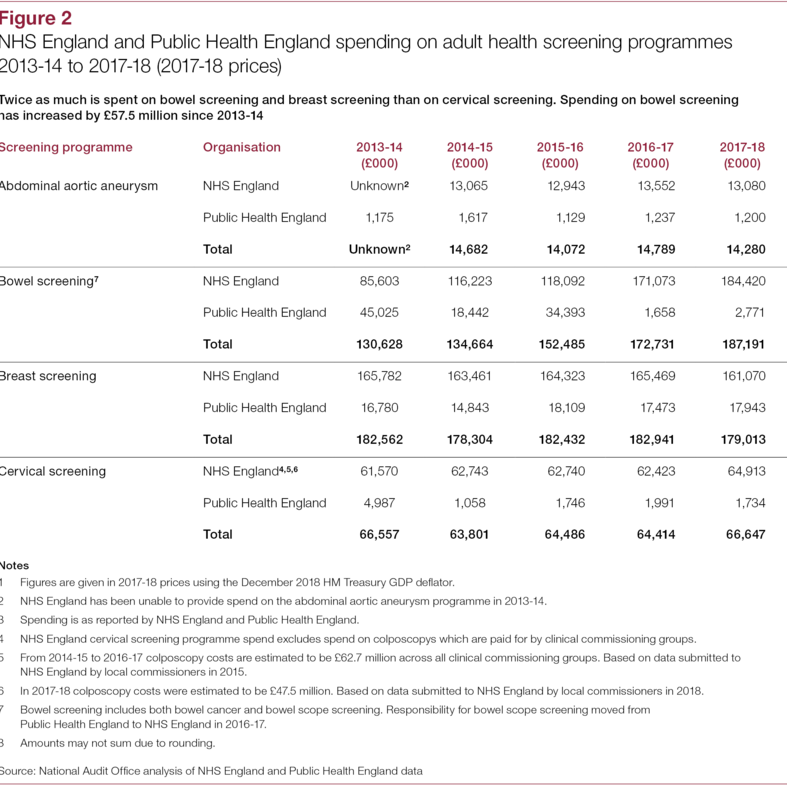 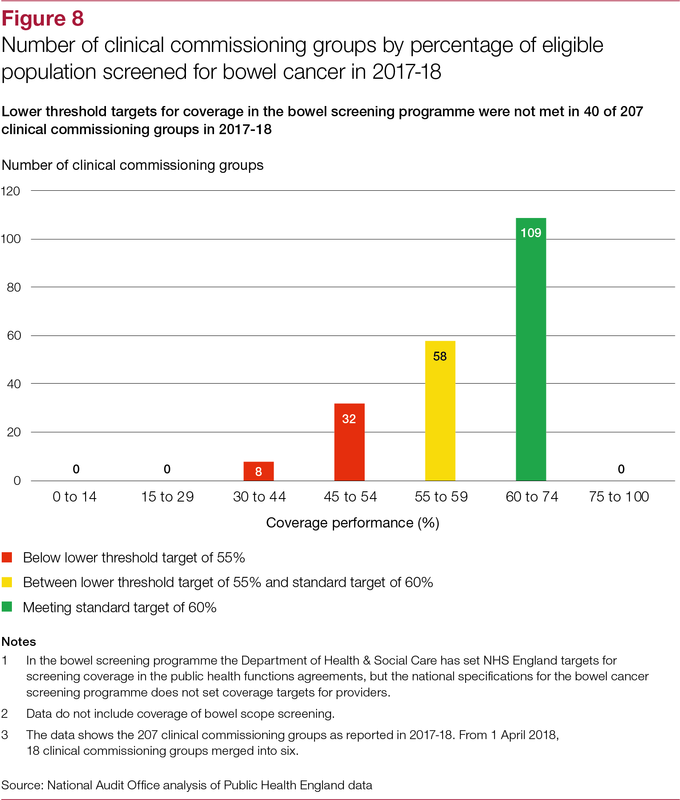 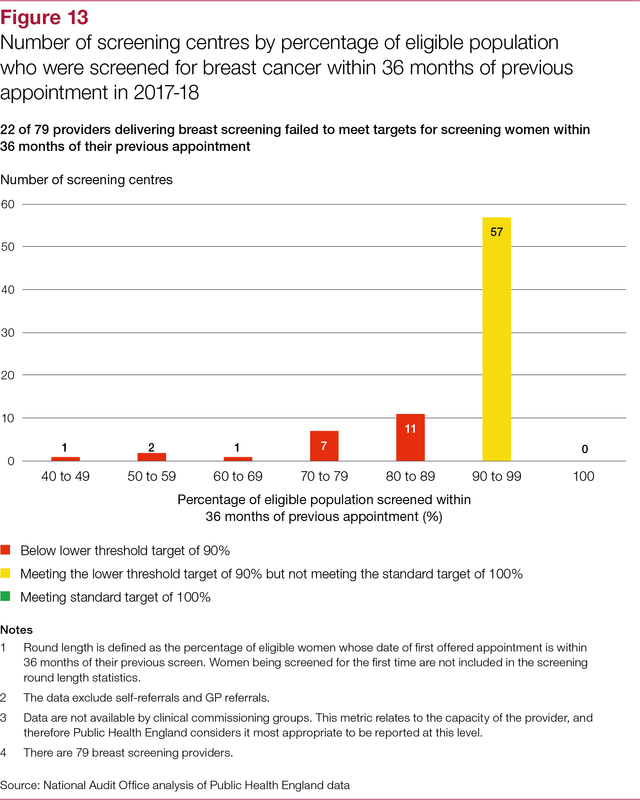 We have only looked at screening programmes operating in England. 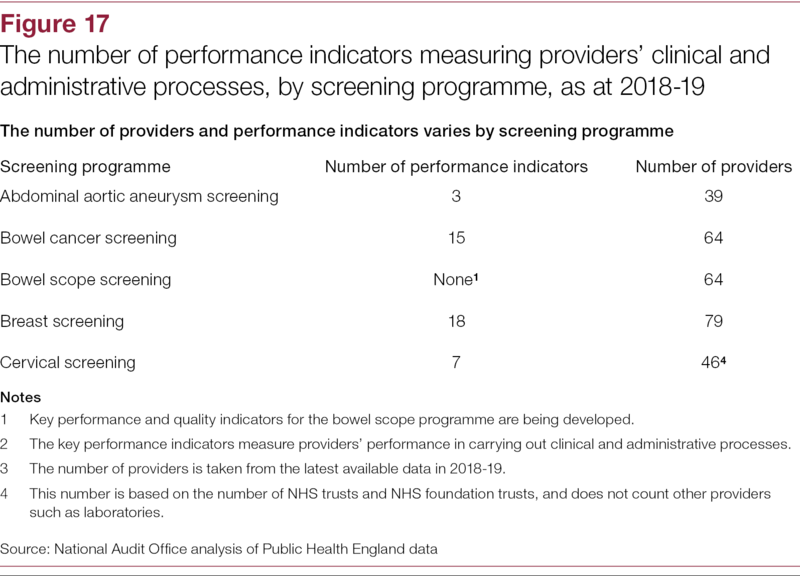 We do not evaluate the effectiveness or value for money of the screening programmes’ administration, nor do we seek to assess the efficacy or clinical effectiveness or evidence base of screening programmes.